MyScript MathPad: lets you handwrite your equations or math expressions and export them in LaTeX or MathML. It recognizes 200 characters and operators. 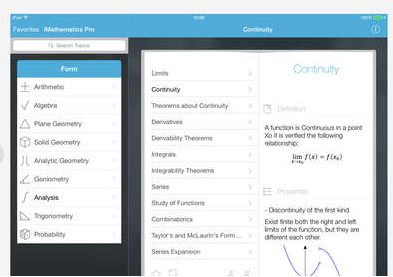 Math Formulas: this app provides you with over 100 formulas for algebra, geometry, calculus, and other math topics. 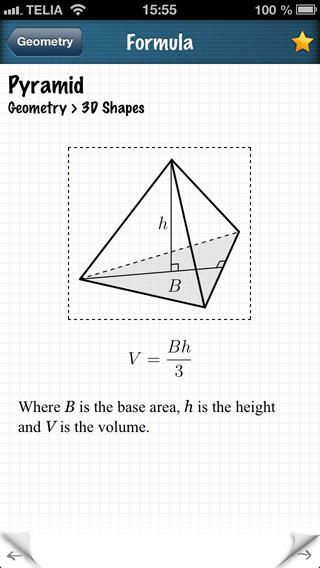 iMathematics: helps you improve your math skills. It covers over 70 topics and provides you with math formulas, definitions, and theorems. What’s your favorite math app for iOS? Please share it here.